No Alsatian table is complete with a kougelhopf! The name of this cake means "risen ball" in Alsatian. 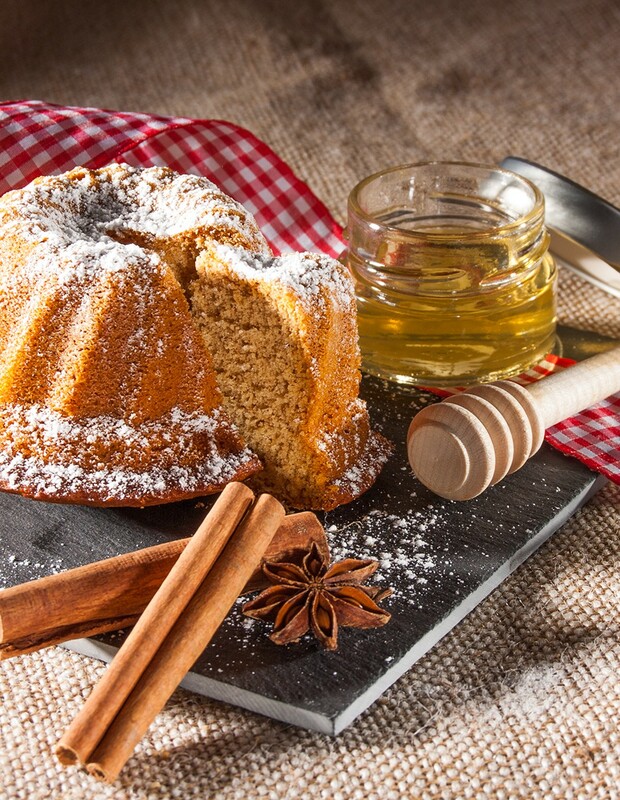 This small kougelhopf packed with honey and spices is perfect for breakfast or with a cup of tea. Did you know ? Legend has it that this treat was made for the first time by the Three Kings to thank an Alsatian cake-maker for his hospitality. 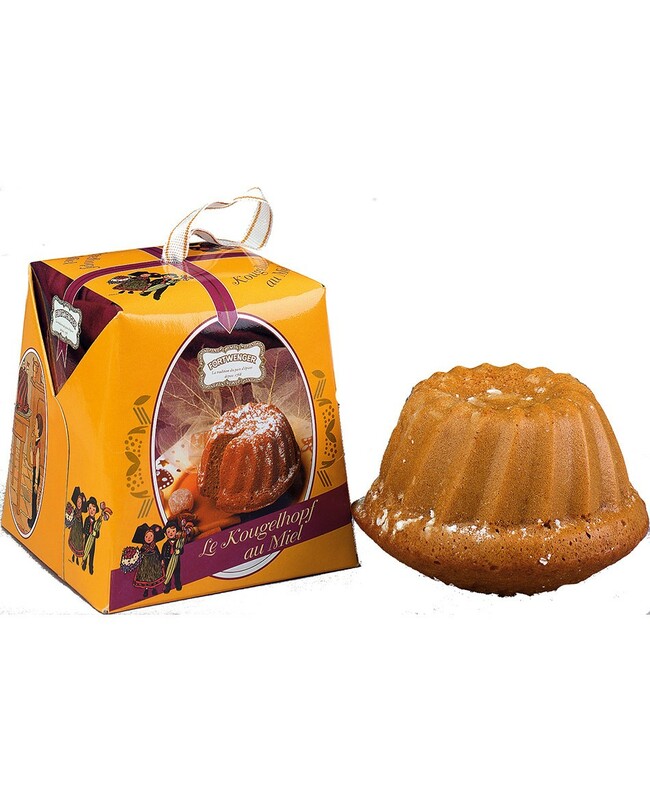 The kougelhopf (literally "risen ball") has long been a celebration cake in Alsace and is made for many different occasions: Christmas, Easter, grape harvests, engagements, weddings, births, village festivals, etc. Honey 54.1%, wheat flour (gluten), milk, eggs, humectant : sorbitols; raising agent: sodium carbonates; spices, vanilla flavouring (colour E150d). Gluten, milk, eggs. May contain traces of sesame seeds, peanuts and other nuts.